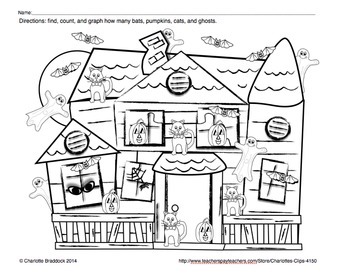 Free Halloween counting and graphing activity. Students will count bats, cats, pumpkins and ghosts at the haunted house. Then graph their answers on the sheet enclosed. 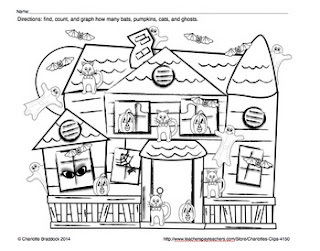 Could also be a fun Halloween color sheet for younger children. Or just an I - Spy game.